Former West Ham Star Blows a Million In Thailand. STILL – ITS GOT TO MAKE YOU THINK! 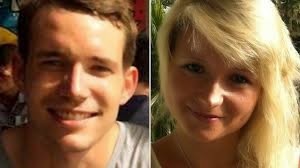 People who go on social media could be prosecuted under the Computer Crimes Act if they speculate to the dislike of the police – and presumably government too – on who murdered Hannah Witheridge and David Miller on Koh Tao last September, says Thailand’s Police Chief General Somyot Pumpunmuang. Or to quote the BBC: “Speaking at police headquarters in Bangkok, General Somyot Pumpunmuang threatened to use one of Thailand’s toughest laws – the Computer Crimes Act – to prosecute anyone caught speculating about the murders on social websites. This is all a bit strange, as was the public demonstration today of taking the DNA sample of the above named person to verify that he was not one of the rapists of Hannah. It will of course verify that his DNA will not match the DNA of who police say are the rapists of Hannah Witheridge. I really do not understand what the fuss is all about. If Warot believes he has been libeled, he has the cash from tourists and and can turn to one of the greatest justice systems in the world, well, for people who say they have been libeled at least. Never before has a national police force done such a thing or indeed why? Why did they need to? Is this not the view of General Prayuth – published today in the Bangkok Post? Gen Prayut said yesterday the British investigators were satisfied and had expressed those sentiments to their Thai counterparts. He claimed British officers had said Thai authorities had done better than they expected and that the investigation had been carried out the same way they would have done. “British and Thai police studied from the “same textbooks”, Gen Prayut said. Scotland Yard I understand are not commenting on what people are commenting, which makes sense to me. This whole story had become more and more confusing by the day, so I am glad its settled. Thai police have carried out a ‘textbook’ investigation. The investigation is closed. We can all sleep soundly in our beds on Koh Tao now. One thing that bothers me though. 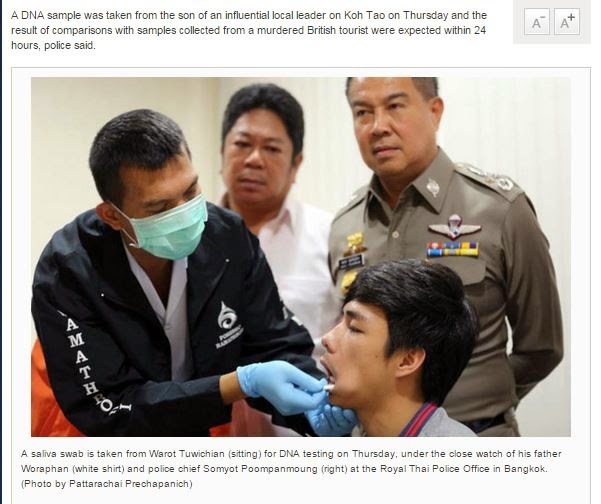 Having studied from the same text books and using their own common sense, do Thai police really believe only two lightly built 21-year-olds could have done this by themselves while the only marks on them according to the National Human Rights Commission appear to have come from, its claimed, interrogators not murder victims. I went to see Human Rights Commissioner Dr. Niran Pitakwatchara, M.D, on Monday after several police agencies and investigation teams ‘postponed’ summonses to meet with the NHRC. He confirmed there was evidence of mistreatment of the two Burmese suspects and others Burmese migrant workers on the island. The powers of the National Human Rights Commission had been somewhat curtailed by the abolition of the 2007 Constitution. Under that constitution the NHRC could itself take prosecutions. So the NHCR is stymied. 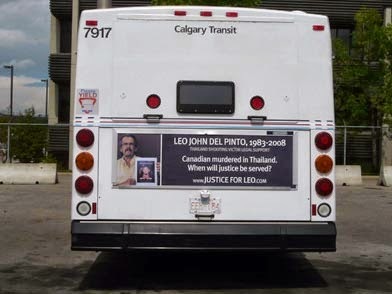 This is a pity because the Human Rights Commission conducted its own investigation into the murder by a policeman of Canadian Leo Del Pinto in 2008. I accompanied the investigation. The NHCR put the first foreign witness in court and successfully managed to have the whole investigation taken out of the hands of local police and into the hands of the DSI – and eventually policeman Uthai Dechachawit went down for the murder. The NHCR itself was unable to increase its scope to include the Koh Tao murder investigation, as the matter is now in the hands of the court. But the families could take the matter to the Department of Special Investigations, said Dr. Niran. Unfortunately however the DSI is somewhat stymied too. They have not had a ‘Board’, they tell me, since the military took over the country. Boards are the meetings at which a Permanent Secretary or the Minister of Justice has to stamp his approval for each investigation. Here on this site we have refused to name people suspected of the murder – unless police have named them themselves. But I have to be alert to comments put up on Facebook and delete where necessary. Please don’t get me into trouble when I’m asleep! There has been a lot of wild speculation. Some perhaps not so mild. It does indicate however a low level of confidence in certain things in Thailand. In Thailand any crackdown on corruption or crime investigation usually goes through a number of clear stages we have all seem many times. 1,) Wild enthusiasm, table thumping and a cry going out that things must change. 2.) Slow disillusionment when it is realized powerful, untouchable people like politicians and high ranking police are involved or profiting and protecting the businesses and people involved in the corruption and crimes. 3.) Total despair when it is quickly realized nobody of importance will ever be prosecuted. Nobody must lose face and the image of Thailand as a peaceful Buddhist Kingdom must be retained at all costs. The status and face of the omnipotent ruling classes must take precedence to any justice. 4.) The search for suitable scapegoats to take the rap and be jailed commences. Drivers, gardeners, lackeys or any other member of the lower classes is preferable. If Burmese or Cambodian even better. 5.) Punishment of the innocent or paid lackeys and promotion of the guilty. Any policeman or official trying to honestly do his job is 'promoted' to a position where he has no power to do anything. Any involvement of officials or politicians is a 'misunderstanding' and somebody just trying to score cheap political points by pointing the fat finger at them. Nothing changes and things go on as before. Prayuth's comments were for a Thai audience in line with what Weapon has said. When I've gone to post the CSI link, I get a " This link may be a danger " which forces a "security check" by entering what is usually an indecipherable captiva image. Guess the site is getting a little too close to the truth? Time to call Thailand on its continued refusal to stop curtailing a basic human right to free expression. After all, what's the big secret that has to be protected? It's no secret. Thailand is ruled by a parasitic ruling class of exploiters who have corruptly fed off the backs of the poorer masses for decades. They've cut down all the trees, subverted all the land, monopolised all the business, broken all the laws, murdered anyone who has spoken out and denied any attempt for democracy and free speech to develop. They hide behind a very shallow public facade of respectability. They are greedy, indulgent and selfish. Like want to live like the emperors of feudal China but deny others even basic human rights. Their children are schooled overseas or in private schools. They know much of the money meant for education and public schools is syphoned off into private pockets. Their face and status means everything to them because money always gives relevance to very irrelevant people. They cling to these transient images as that is all they have. Look at their hard faces and eyes, they reveal no kindness and compassion. They are frauds and deep down they probably know it. They think they are above the law but run to fortune tellers and other soothsayers looking for salvation and excuses for their excesses and greed. They donate to temples thinking they can bribe the universe into turning a blind eye to their corruption. They are secretly despised by many as people know how they have really made their money. They subvert justice and have corrupt relationships. In the end they end up scared of dying, they run to temples to make merit in a vain attempt to rebalance the scales. When they die there is much pomp and ceremony but deep down people think 'good riddance' and they aren't missed by anybody except the people who fed off their greed. Give me a country that isn't equally as greedy as Thailand, can't think of one myself. The only difference here is corruption is more open and commonly acceptable. I am not defending the country in any way, just stating a fact that human nature is the same the world over. Such stories of injustice are often repeated elsewhere, but in a different form. 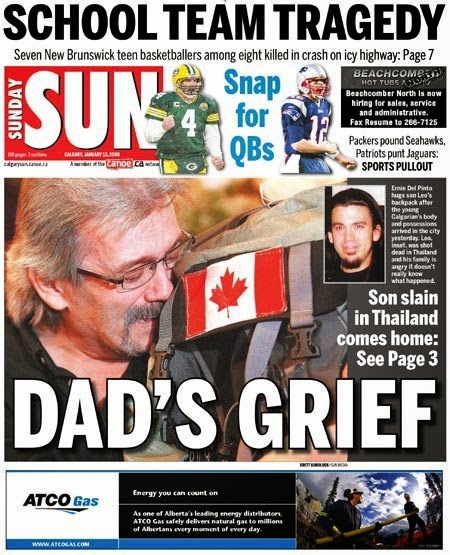 One can only hope, that for the sake of the families, justice will be served. Well 'Guest' there are clear statistics on corruption and Thailand – There are stories of injustice the world over – However here its a Department. I understand, and I realise you can't spread yourself around too much otherwise there will be nothing left. Naturally you can only do so much, but some is better than none of course. I do think though you can get too polarised by one particular country, especially if you have made a life there over a long period. IMHO, instead of concentrating on one piece of the puzzle, I tend to observe a more balanced view of the world, which allows me to objectively determine the overall picture. I have lived on and off in Thailand for almost two decades, and admittedly I don't have the will nor the desire to challenge the system in such a provocative manner. Like most, I have accepted the status quo with some degree of reluctance. I know it's cowardly, perhaps hypocritical, but I honestly feel that the country is just not yet ready to embrace the ethical values and rights that we tend to hold particularly in so-called civilised societies (if there is indeed such a place these days). I do however remain optimistic that things will change for the better, though in Thailand's case, I suspect this will be a slow drawn-out process to reform the country. I have just found my other G mail address account blocked from commenting here. Coincidentally, (?) the same email used for a Facebook account that was today suspended; " your name is invalid." English language Facebook users who share or post a lot on facebook CSI LA , or post links to it now may find their accounts suspended as mine is now currently. Every post I made on that page and a boycott Koh Tao page are deleted. The admin account of the Koh Tao page is also suspended and that page closed a few hours ago. I thought all communications under Marshal Law came under military control ?